Why did the Haitian People Want to Rebel? During this time period, Haiti was called the French Caribbean colony of Saint Domingue. 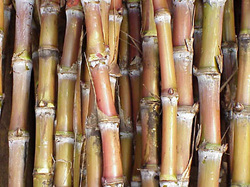 It was considered the richest colony in the world, and over 500,000 slaves worked on the 8,000 plantations that provided almost 40% of the world’s sugar, and about half of the world’s coffee. Many rich white people lived here as owners of plantations, lawyers, and merchants. The extreme contrast between the classes and colors contributed to the enormous inequalities. Both rich and poor white inhabitants of the island agreed, despite their classes, that people of color deserved no rights. These inequalities and exploitation made the Haitians angry. The Haitian Rebels wanted more than to escape slavery— they wanted to live in a society free of slavery completely. What Caused the Haitians to Finally Start a Revolution? Lance Armstrong once asked the question: “what is stronger, fear or hope?” The Haitian Revolution answers this question, showing that hope is stronger than fear. 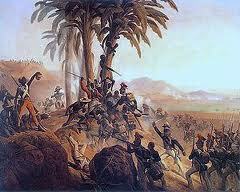 The Haitian slaves were fearful of their slave-owners, as they had a great deal of power over them. However, when the Haitian slaves heard of the supposed success of the French Revolution, they were given hope, which gave them the strength to rebel. The French Revolution began in 1789, which triggered the many revolts and events that made up the Haitian Revolution (which occurred from 1791 to 1804). The first most major event that triggered all the others occurred in 1791, when a rumor spread that the French King ended slavery. The result was a revolt in which 1,000 plantations were burned by the slaves. Hundreds of whites and mixed-race people were killed as well. After this, it got even more brutal as the slaves gained more power and were led by a former slave, Toussaint L’Ouverture. This led to even more revolts, many of which were unsuccessful. For example, L’Ouverture led a violent and long rebellion in 1801, but it was ineffective overall.